An agile and powerful 2wd flipper perfect to start you out right! 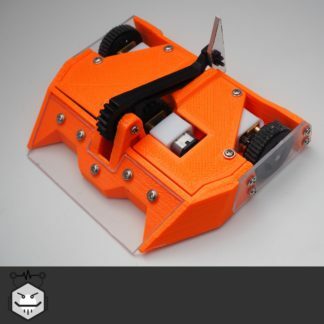 This robot packs a powerful flipper able to throw and overturn its opponents in the arena, carefully designed geometry helps ensure the servo is able to transfer more of its power than a typical flipper. 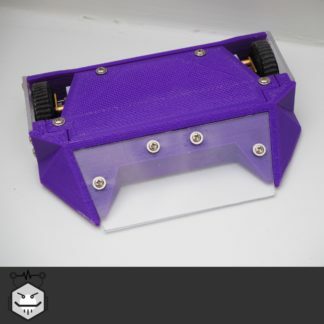 The polycarbonate flipper front and side armour protects the robot from damage. With fast and agile drive this robot can effectively engage other robots allowing it to utilise its flipper effectively to either immobilise an opponent, flip them into dropoffs or over low walls and to show control of the fight in the event of a judge’s decision. 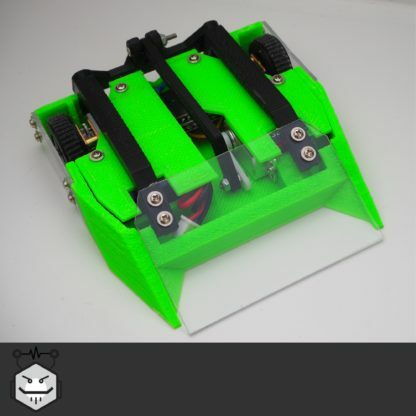 The flipper is capable of rapidly self righting the robot in battle to keep you in the fight. 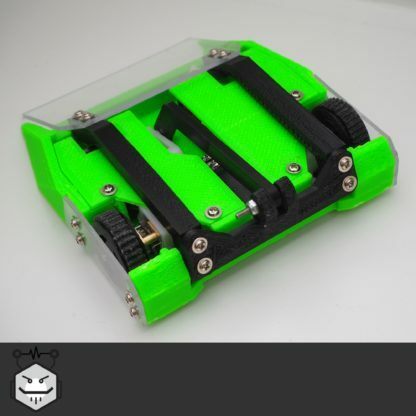 Our own high rip ‘ToughHub’ wheels help ensure your robot has the push in the arena. 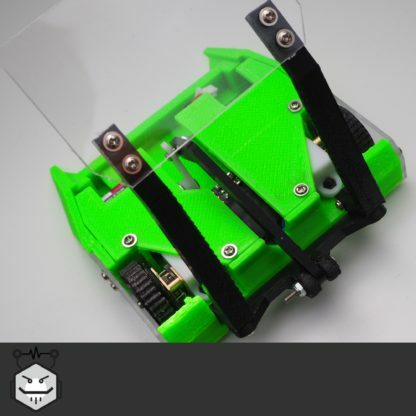 The 2 wheel drive flipper is a staple design of robot combat seeing effectiveness across all weight classes. They make excellent robots for both newcomers and experienced roboteers. These robots are fully rules complaint for entry into all UK Antweight competitions and come ready to connect up to your own radio gear and charger. 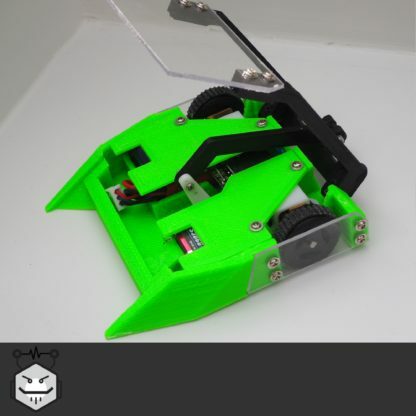 You will need your own DSM2 or DSMX Transmitter and Charger to run your robot with, for suggested components and guides please see the ‘Antweight Care’ page. Nuts And Bots robots are built to order and there is a delay in shipping, please see the ‘Information Page’ for full details and shipping times.